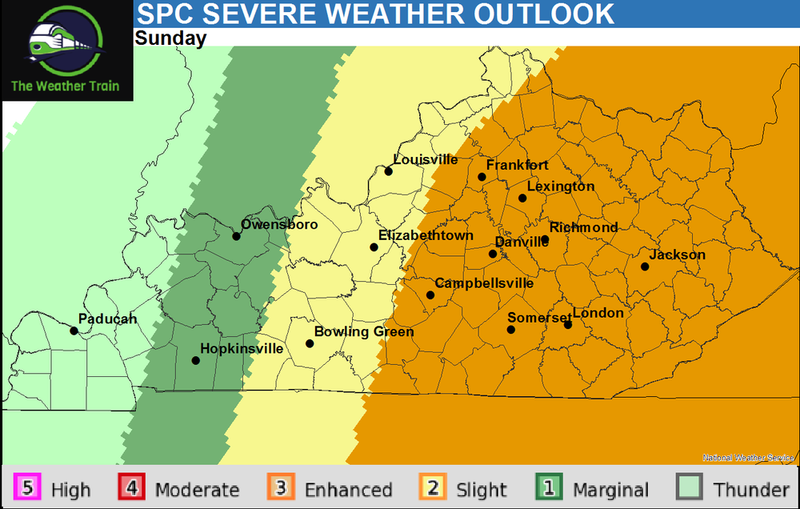 Good Saturday morning everyone, the potential for severe weather still exists on Sunday. The latest data is now suggesting that we will experience two rounds of storms. The first round will move through during the early morning hours on Sunday, these storms will be in the weakening phase, but some isolated severe thunderstorms are possible. The second round looks to impact the area during the afternoon/evening hours on Sunday. This is the round that we are watching closely, as damaging winds, large hail, lightning, and even some isolated tornadoes will all be possible. Tomorrow’s severe threat could increase or decrease, depending on how this system evolves as it approaches our area. The latest Storm Prediction Center outlook places the eastern half of Kentucky under an ENHANCED risk (level 3 of 5) for severe weather. This means that numerous severe storms are expected, with some intense storms possible. We are also monitoring the potential for another severe weather event next Thursday. 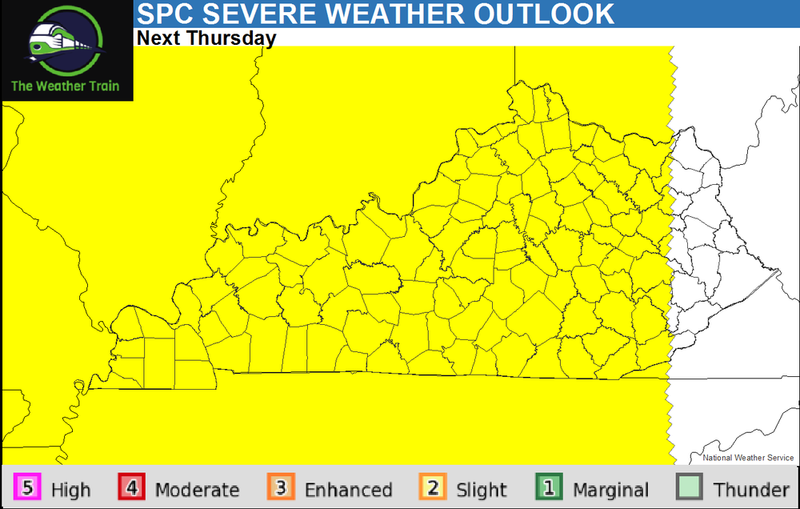 The SPC already has the entire area highlighted in a severe weather risk. We will keep you updated on all the latest weather information, stay tuned for the latest!